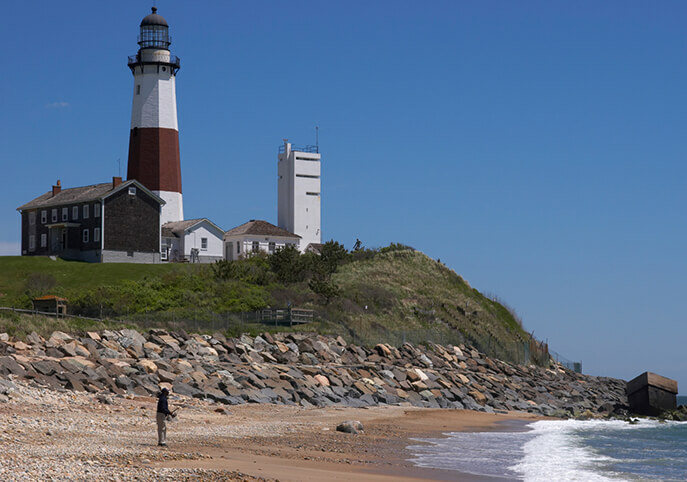 Montauk Lighthouse is one of the East End’s most picturesque places to visit year round. Montauk Lighthouse – A National Historic Landmark is New York State’s first lighthouse and is the fourth oldest active lighthouses in America. It stands 110’6” high and the current light, installed in July 2001, flashes every 5 seconds and may be seen 17 nautical miles away. Surfers and fishermen/women enjoy the abundance of fish and waves. A great place to visit if you haven’t been there yet.